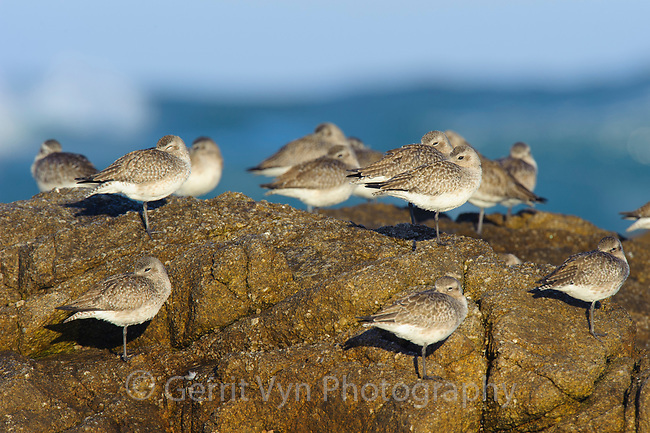 Flock of Black-bellied Plover (Pluvialis squatarola) in basic (winter) plumage roosting on coastal rocks. Monterey County, California. December.